The Butterdome Craft Sale is an unforgettable Canadian Handmade community gathering, returning to Edmonton to celebrate a landmark anniversary and to provide yet another weekend of the very best in holiday shopping. 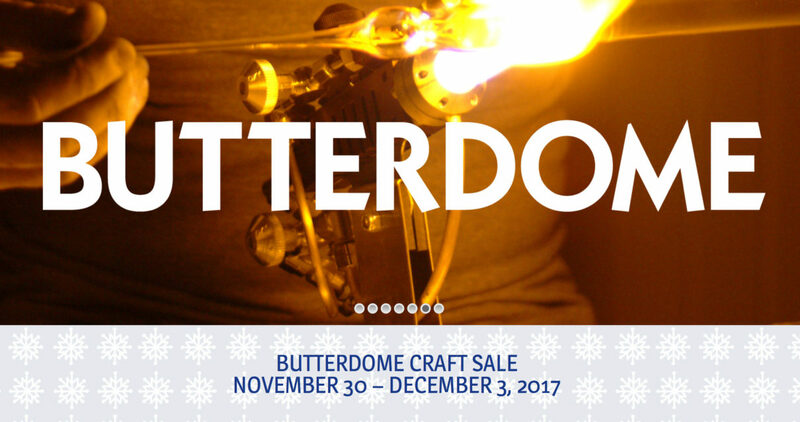 Now in its 27th year, the Butterdome Craft Sale is a four-day event at the University of Alberta’s iconic Butterdome building, featuring over 275 of Canada’s most talented artists, artisans, and designers who will amaze shoppers with their works and interact with them face-to-face, making this a can’t-miss experience. A one-stop-gift-shop of the finest quality handmade goods, including fabulous fashion, jewellery, home décor, sculptures, glassware, natural body care, delicious gourmet treats, and more, this event is perfect for crossing everyone off your holiday list while leaving you feeling inspired and astounded.